Nicarnica Aviation have teamed up with Senageomin, the Chilean national service for geology and mining, who now own three each of our UV and IR imaging systems. The cameras, which will be used by OVDAS (Volcano Observatory of the Southern Andes) for monitoring the emissions of SO2 and ash from the numerous active Chilean volcanoes. 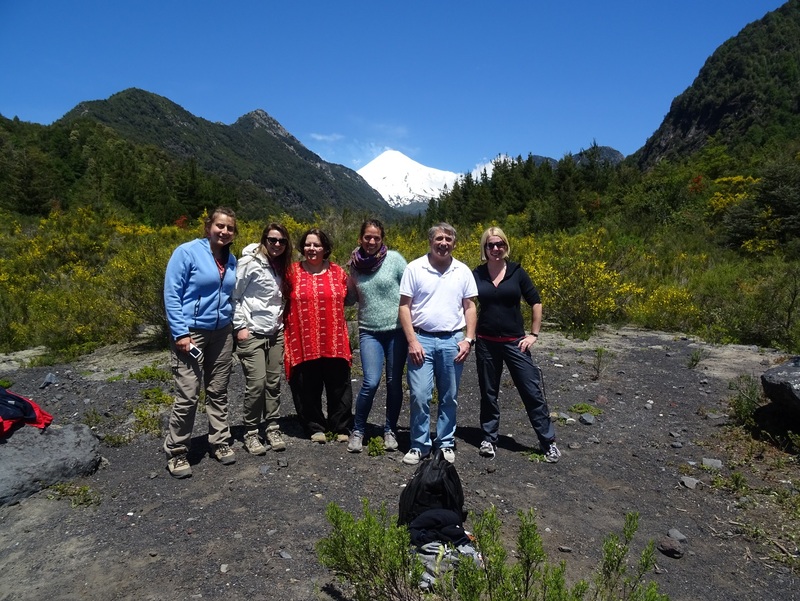 During November 2014, a team from Nicarnica and Nilu visited Chile to provide support and training to the OVDAS staff and students who will be using the cameras for research and operational monitoring. The trip began with a visit to the OVDAS headquarters in Temuco. The team were greeted by OVDAS staff Roxana Medina Giacomozzi and Gabriela Velasquez, as well as University of Chile students Florencia Rosas Sotomayor and Carolina Geoffroy Gómez. Following a day of testing and training with the instruments, we headed out to Villarica, a volcano which has been passively degassing for 30 years with occasional events of explosive activity and ash production. 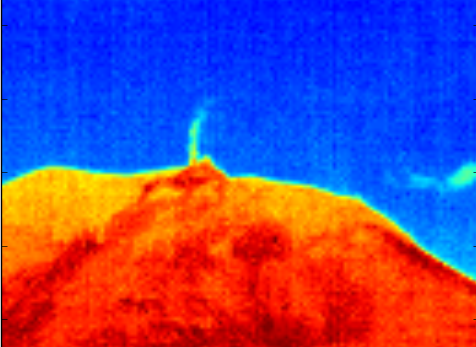 From the snow covered flanks of this imposing, conical volcano, a plume of SO2 was clearly visible. It was an excellent opportunity to test all the cameras in the field, as well as provide a basis for IR / UV inter-comparison. 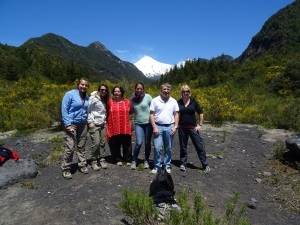 The team then headed to Santiago to attend the 2nd Workshop on Imaging Volcanic Plumes, hosted at the Department of Geology, University of Chile in Santiago and then onto the CCVG/ IAVCEI 12th workshop on volcanic degassing in Copiapo. Following the meetings, and to make the most of our time in Chile, we took the opportunity to visit the relatively understudied Guallatiri volcano, which had a probable large eruption in 1985 and has been degassing significantly in recent years. Due to its remote location on the Chilean/Bolivian border, the emissions are relatively unknown and so this opportunity to take our UV and IR cameras to the site will provide some of the first estimates of the degassing activity here. 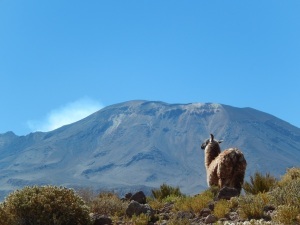 We also visited the more well-known Lascar volcano, close to San Pedro de Atacama. 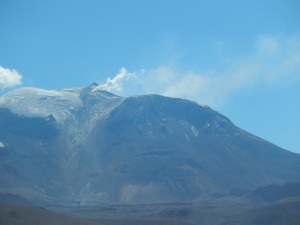 The volcano has been historically active since the mid-19th century and at present is emitting a steady plume of SO2. Here we were able to measure with the cameras from two locations (north and south) and were able to get as close as 6km to the plume. 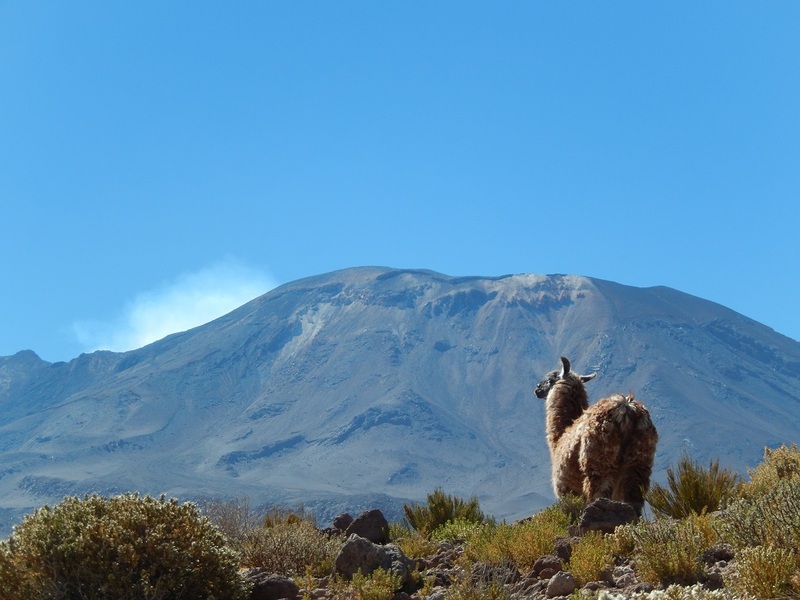 These measurements will contribute towards the ongoing campaign by OVDAS to characterise emission rates from each of the actively degassing Chilean volcanoes. After a busy three weeks, the team have now returned to Norway where we look forward to analysing the data. We would like to thank all of the OVDAS and U. Chile staff, and particularly are grateful to Alvaro Amigo for logistical support and advice throughout.